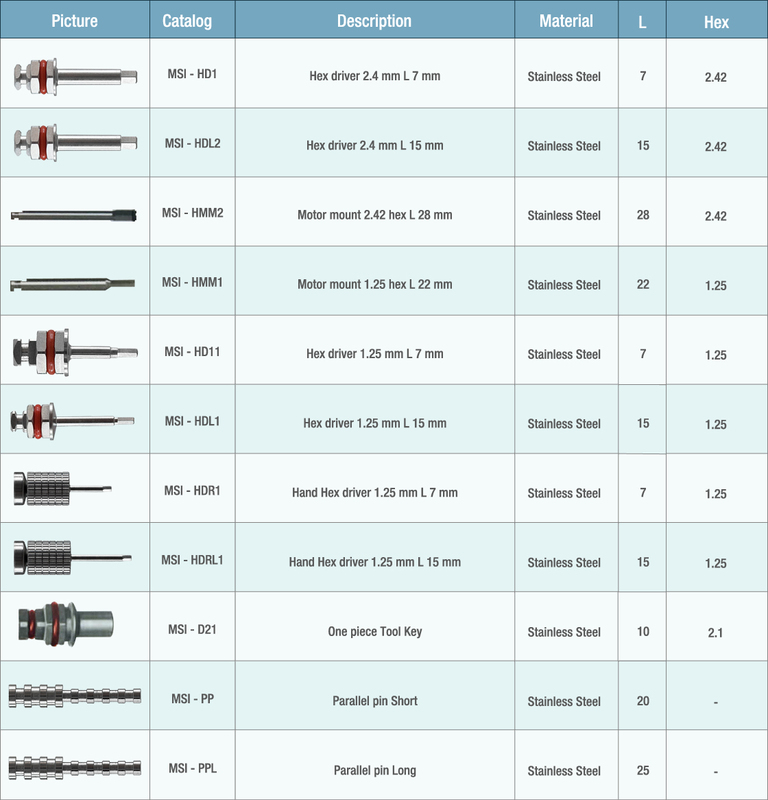 MSI IMPLANTS tools are made of surgical stainless steel and undergo thermal treatment. This process strengthens the steel and protects from wear. 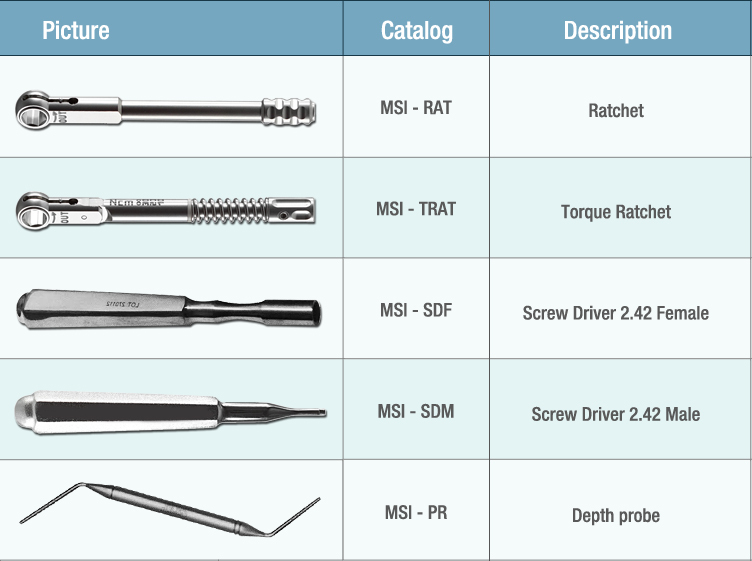 The tools are unique as they grip the screws and prevent them from falling into the patient’s mouth.